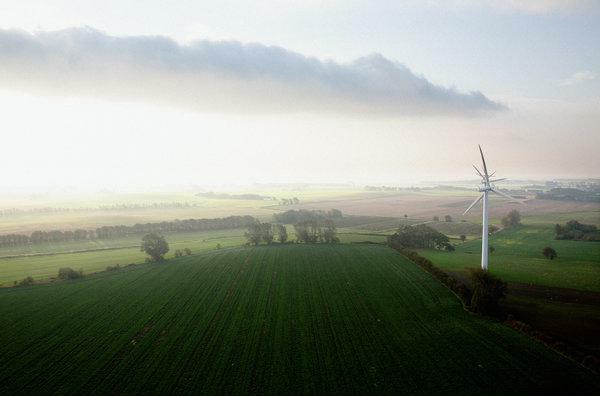 In 1997, Samsø won a government competition to become a model renewable energy community. At the time Samsø was entirely dependent on oil and coal, both of which it imported from the mainland. An offshore wind farm comprising 10 turbines (making a total of 21 altogether including land-based windmills), was completed, funded by the islanders. The people of Samsø heat their homes with straw burned in a central heating system and they power some vehicles onbiofuel which they also grow. Now 100% of its electricity comes from wind power and 75% of its heat comes from solar power and biomass energy. An Energy Academy has opened in Ballen, with a visitor education center. The academy is currently working towards making Samsø 100% fossil free. To that end, the island is promoting the use of electric vehicles and plans to test using gas from decomposing waste as fuel for a new ferry set to arrive next month. Yet while the national government is expecting useful results from Samso’s efforts, there are signs that its consensus and momentum could flag. Mr. Hermansen, who says he is on the road about 100 days a year promoting the island’s story, is beginning to talk of doing other things. The academy is working with islands in Europe and Japan that are adapting Samso’s approaches, and he mused that he might shift more of his time to creating partnerships like those. And although many residents express pride in the island’s green image, others point to shortcomings. 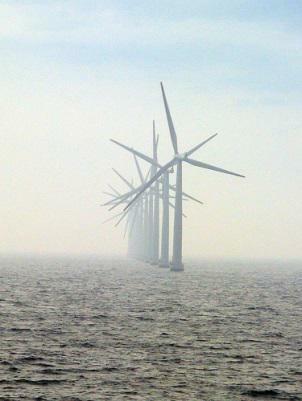 It still relies on fossil fuels when the wind does not blow or the heating plants break down. Only 10 to 15 percent of the population has invested in the wind farm production, and electricity bills have stayed high, in part because of Danish tax and energy policies. Building support for the projects based on financial self-interest can have a downside when the economics shift. At an evening reception at the end of the Mainers’ program, Jorgen Tranberg, a farmer who is chairman of the consortium that manages the offshore turbines, said that his investments had fizzled because of falling prices for wind power and lower-than-expected output. Samso’s wind farms produce about 105 megawatt-hours of electricity each year, of which roughly 80 are exported. 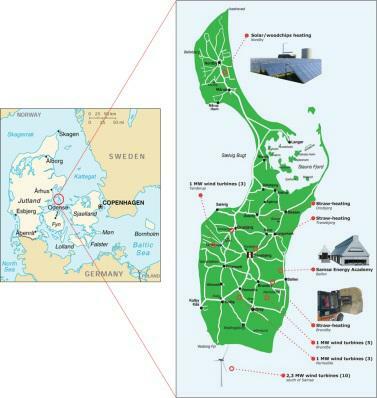 Although the island earned a set rate for the first 10 years of production, it now gets a market rate that is lower in part because developers in Denmark and throughout the region have built so many wind turbines, cutting Samso’s revenue from approximately $6.4 million a year to about $3.8 million.